What you need to do in order to unlock the Pestilence Exotic LMG in Tom Clancy's The Division 2. 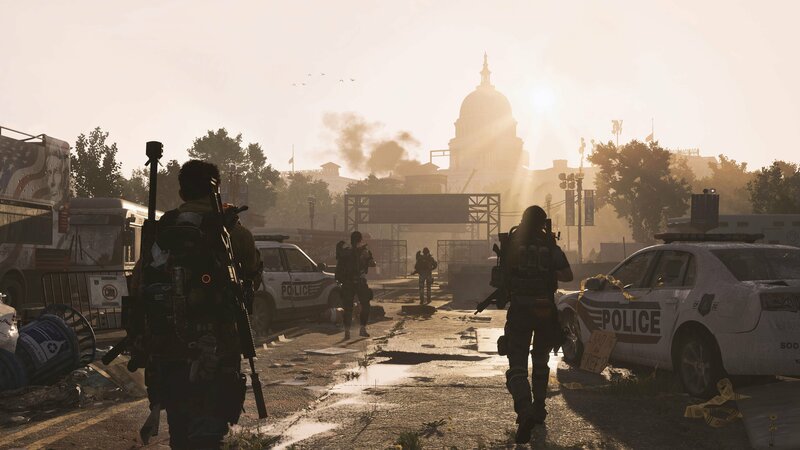 Following the new Tidal Basin update, various World 5 Tier unlocks have become available in The Division 2, including the Pestilence Exotic LMG. Unlike some of the other weapons added through the Tidal Basin update, the process of unlocking the Pestilence is relatively straightforward in nature. If you’re still scouring The Division 2 in search of the Pestilence, read on to find out what you need to do to unlock the Pestilence Exotic LMG in Tom Clancy’s The Division 2! The Pestilence Exotic LMG can be unlocked as a contaminated drop in the Dark Zone in The Division 2. To unlock the Pestilence Exotic LMG in The Division 2, the first thing you’ll need to do is ensure that the Tidal Basin update has been downloaded. 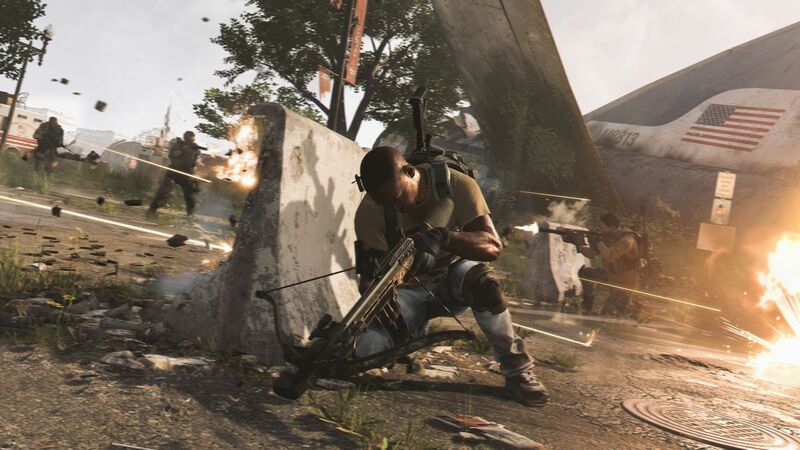 While this typically happens automatically, if you’ve taken an extended break from The Division 2, you may need to accept the update and let it complete before you start playing. With the Tidal Basin update downloaded, the next thing you’ll need to do is head to the nearest Dark Zone, or Occupied Dark Zone, and begin killing named enemies and bosses. During our time in The Division 2, we were able to get the Pestilence Exotic LMG after we defeated a boss named Outcast. Note that there’s a bit of luck involved in getting the Pestilence, as it’s awarded to you in the form of a random drop. Keep grinding through the Dark Zone, or Occupied Dark Zone, and you’ll eventually be able to get your hands on the Pestilence Exotic LMG. Something else to keep in mind is that you’ll receive the Pestilence Exotic LMG as a contaminated drop. In order to actually use it in The Division 2, you’ll need to remember to extract it. The Pestilence Exotic LMG comes with a variety of interesting parks, such as Plague of the Outcasts, in Tom Clancy's The Division 2. Once extracted, you should be freely able to use the Pestilence Exotic LMG in other new activities such as the new Strongholds that were recently added. While damage output for the Pestilence Exotic LMG is relatively low, it does come with a few interesting perks and buffs attached, as listed below. Pestilence: Reduces enemy healing by 50% for 10 seconds. Whenever an enemy with Pestilence would be downed, they are instantly killed instead. Plague of the Outcasts: After hitting the same enemy 15 times, enemy is inflicted with Plague of the Outcasts. When enemies with Plague of the Outcasts are killed, they leave behind a toxic cloud for 10 seconds that deals 400% weapon damage per second to enemies standing inside the cloud, and inflicts them with Pestilence. Outcast Resilience: While the weapon is holstered, you’re given 20% bonus armor for 5 seconds whenever you are affected by bleed, blind, or burning. Overall, the Pestilence Exotic LMG is a fun weapon to use in Tom Clancy’s The Division 2, especially with its unique effects including Plague of the Outcasts. To recap, the Pestilence Exotic LMG can be unlocked in the form of a contaminated drop by killing named enemies and bosses in the Dark Zone, or Occupied Dark Zone. For a visual guide on how to get the Pestilence Exotic LMG in Tom Clancy's The Division 2, be sure to check out the helpful video below courtesy of YouTube user WiLLiSGaming. Now that you know how to unlock the Pestilence Exotic LMG in Tom Clancy’s The Division 2, be sure to check out some of our previous guides including how to create Printer Filament in The Division 2, how to get the Exotic Merciless Rifle in The Division 2, how to get the Chatterbox SMG, how to get the Liberty Exotic Pistol, and a list of Gear Sets available in The Division 2.